Last week, Foxtel’s Multi Channel Network and AOL Platforms joined forces to launch programmatic TV inventory buying in Australia via their own private exchange. CMO understands about 5 per cent of linear TV inventory is initially being put into the exchange, along with video, across all MCN channels including Fox8 and Fox Sports, the Lifestyle Channel, Sky News and the Cartoon network. In addition, a new deal between Network 10 and Foxtel announced on Monday, which sees Foxtel acquire a 15 per cent stake in Network 10, Network 10 gain a 24.99 per cent stake in MCN, and MCN take control of all advertising trading across Network 10’s channels, will also see automated and combined ad buying options across pay, free-to-air TV and playback video introduced in the medium term. Chief investment officer at Ikon Communications, Bryan Magee, said the agency has been testing MCN’s platform with clients and partners for several months and saw the launch of automated TV ad buying as a highly positive announcement for the industry. With a focus on dealing and trading in audiences rather than channels, and on campaigns rather than annual ad programs, Magee said programmatic TV buying also fits well with its approach for clients. He expected more agencies and clients would follow suit thanks to programmatic trading capabilities. “Culturally, we want to buy audiences, not channels or slots,” Magee said. “If the world keeps evolving along this line with programmatic, in 10 years’ time the TV or print organisations could all become irrelevant, as we want to buy audiences, no matter where they are. Starcom Media Vest Group executive director of technology, digital and content, Jason Tonelli, said MCN’s offering, while not a silver bullet, is a major step in the right direction and signals the shift to data-driven TV. “MCN is putting its stake in the ground on what it means to be data-driven and make better and more informed decisions around advertising on their network,” he said. “We’re excited by that as it gives us new levers to pull on. One is that it’s a more efficient and effective way to plan, buy and flight advertising. That’s a good thing for clients – it allows them to now focus on creating great messages and their reliance on us becomes about finding the right consumers, which we can do with more precision. Atomic 212 chief executive, Jason Dooris, also welcomed MCN’s offering. “They [MCN] are accelerating progress for all of us and this is good for our clients,” he said. “In theory, television programmatic buying will add significant value to television inventory, which is good for networks in that premiums or higher rates can be attached to inventory including historically low-value inventory such as off peak. Dooris agreed the news was both “significant and symbolic” and begins the education process for agencies in the traditional programmatic space. 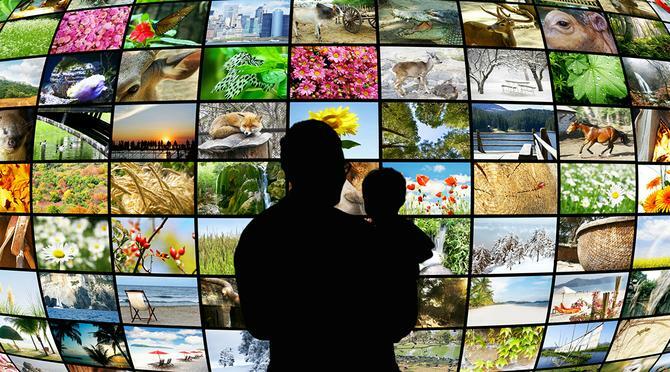 Both Magee and Dooris expected more TV networks including the public channels to get on-board programmatic TV ad buying, and Dooris hoped to see more clients involved in the process. “It will be a small percentage to start with to get the technology right, and get agencies to buy into it. But with the amount of channels they have, which represent an enormous amount of, spots and time for agencies and buyers, it’s a great stride forward,” Magee added. While all agencies agreed MCN’s platform will come with its own problems and issues, Magee claimed this could help improve advertising efficiency and optimisation. “For a media agency and clients, we want efficiencies, to drive innovation, and these guys are really delivering that,” he said. “What MCN has done is bring in that first level of automation for programmatic buying, and can override and overlap that with a data conversation [Multiview] that these others can’t at the moment. In the next few years, hopefully what we’ll see is MCN/Adap overindex their investment into those areas. Tonelli also saw MCN’s offering as a solid one and a good testing ground, noting that the Multiview panel will aid with finding the right audiences through what they’re watching and for propensity modelling. “We’re really excited about the developments, although we’ve told MCN it’s not enough and we need to continue to push the boundaries,” he added. In April, Starcom and ZenithOptimedia integrated their programmatic trading desks in-house in a bid to provide greater transparency to clients.